Zol Zayn//What If? by Jonas N.T. Becker at the Shulamit Gallery, Venice. Go Go’ers, enhance your art and music experiences at these weekend events that promise more participation than mere passive eyeballing and ear-worming. Photographer/video artist Jonas N.T. Becker’s compelling show Zol Zayn//What If? at the ocean-adjacent Shulamit Gallery in Venice is an immersive, meditative experience about community, utopia, and isolation. Becker’s four, hypnotically watchable video installations — The Pile, Prodigal Sun, End(s) of the World, and Almost Always — are thought-provoking meditations on the individual as part of a collective experience. Each video is a unique collaborative experience. The Pile features Becker’s mother sewing and stuffing a mountain of red felt objects that appear both comforting and unsettling. The addictively watchable Almost Always incorporates snippets of video shot by participants around the globe in the moments before midnight. 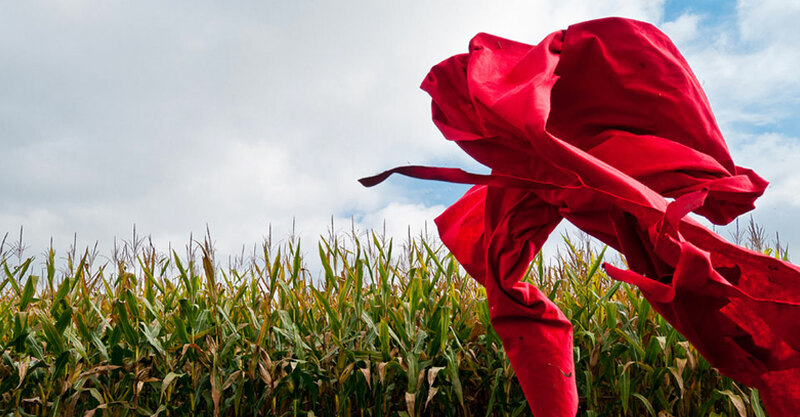 End(s) of the World is a visual and aural immersion in remote spots — all named “End of the World” — from Utah to Mumbai; it’s a particularly apt installation for an art gallery on the edge of a continent. Watching the videos becomes part of the global gathering and celebration of the shared experience. On Saturday, January 25 from 4:00 to 6:00 p.m., Becker is joined by Joshua Milstein and Rabbi Susan Goldberg of the Wilshire Boulevard Temple for a discussion of messianism and utopian ideals in art: part of the Shulamit Gallery’s Cheh Khabar/What’s New series. Becker, who will speak about her motivation and research, is an articulate guide to her work, offering enhanced insight and understanding. Rabbi Goldberg is a lyrical speaker who will discuss how creative explorations of Messianism can be used as a tool for social justice in our society. Milstein, a scholar of Jewish and European intellectual history, will talk about how specific work in the exhibition outlines a parallel relationship with utopia and Messianism. ZOL ZAYN//WHAT IF? — Discussion, Sat, Jan 25 from 4-6PM; exhibit through March 8th. FREE — Shulamit Gallery, 17 No Venice Blvd, Venice 90291 RSVP at rsvp@shulamitgallery.com More info HERE. Depictions of addiction — whether socially acceptable and benign or in the shadows and malignant — did not start with Reefer Madness. Stunning examples of both of the above will be on display in Tea and Morphine: Women in Paris, 1880 – 1914, which opens Sunday, January 26 at the Hammer Museum. The first large-scale exhibit of the Elisabeth Dean Collection since 1986, when the collection was in its infancy, the show includes 100 works that include depictions of the leisure pursuits of upper class women as well as the pharmaceutical crutches of the dregs of society. Join independent curator Victoria Dailey and Cynthia Burlingham, deputy director, curatorial affairs at the Hammer Museum, for an Opening Day walkthrough of the exhibit, which includes prints as well as rare books and ephemera such as menus, theater programs, and music scores. 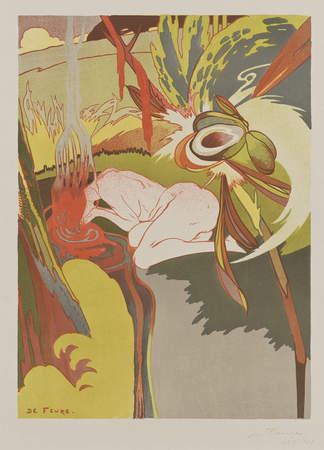 TEA AND MORPHINE: WOMEN IN PARIS 1880 – 1914 — Walkthrough (FREE) , Sun, Jan 26 at 2pm; exhibit through May 18th. Museum admission $5 – $10 — Hammer Museum, 10899 Wilshire Blvd, LA 90024 More info HERE. This Sunday, tap your toes and lift your pinky at the Downton Abbey Tea & Jazz. 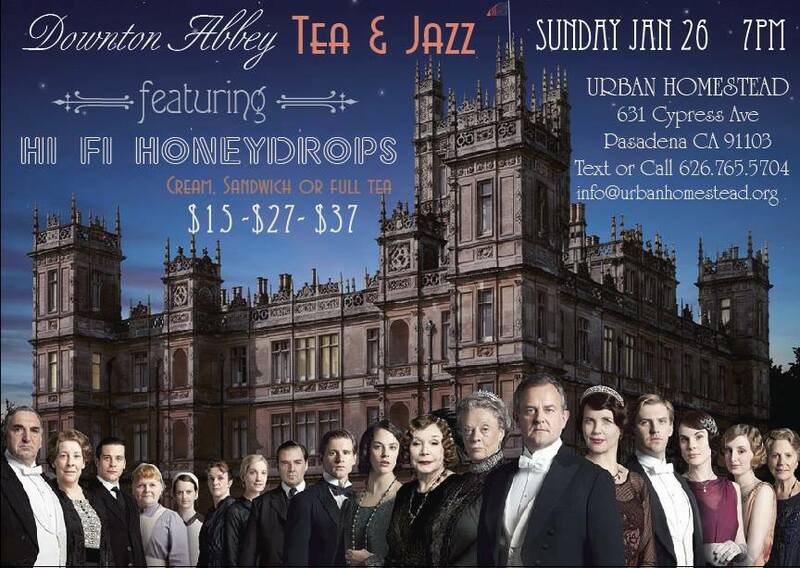 Don your Jazz Age duds (or come as you are) and celebrate the new season of Downton Abbey this Sunday, January 26 at Urban Homestead. The working micro- farm, music venue, and secret urban gem eatery will be serving a proper English repast — your choice of Cream, Sandwich or Full Four Course Tea — to the accompaniment of the Hi Fi Honeydrops who will play Jazz Age standards in the charmingly homey garden setting. Stay afterward for a viewing of Downton Abbey with your fellow Anglophiles.